Prior to the development, a few scattered low density neighborhoods existed in the area including Peralta Hills and Mohler Loop (tracts which still exist today) that were developed primarily in the 1940s and 1950s. The remaining portions of Anaheim Hills were primarily developed in the 1970s after rancher and land owner Louis Nohl sold his massive parcel in the foothills east of Anaheim. Construction of the community began in 1971 and was branded as a rural enclave and alternative to the more dense subdivisions emerging in the Orange County basin with homes on large lots, hiking trails, a golf course, and low densities. The community grew quickly and by 1974 the Orange Unified School District had constructed a high school to serve the growing community. In 1990, the city of Anaheim approved several large developments surrounding Weir Canyon Road (East Hills and The Highlands) expanding the community toward the 241 toll road. In 2007, the Irvine Company received approval for additional 2,500 homes just east of the 241 toll road on a parcel of land it has owned for over fifty years. 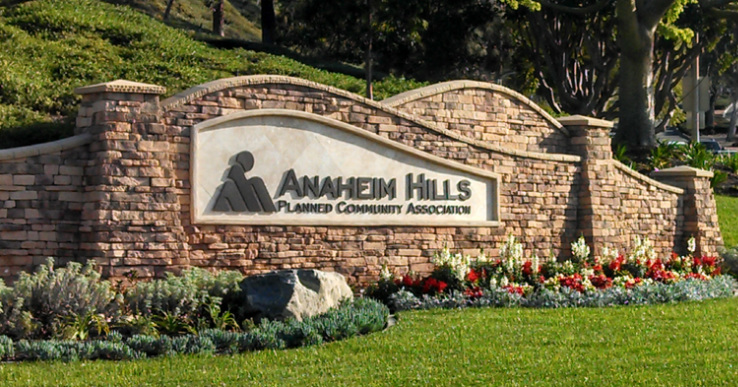 This community will be the last major development in Anaheim Hills. The 2010 United States Census reported that Anaheim Hills had a population of 55,036. Anaheim Hills has a median household income of $123,260. Click here to search for homes in Anaheim Hills.